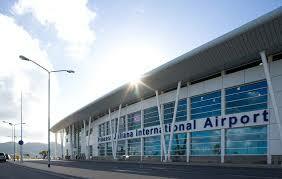 St. Maarten’s Director of Tourism Rolando Brison has said Speaking in an interview with the Caribbean Tourism Organization Friday, Princess Julianna International Airport should be opened for commercial flights next week. The island was ravaged by Hurricane Irma Tuesday leaving an unconfirmed number of people dead as well as the island out of communication for a few days. A week Brison said sounds long but it is also due to Hurricane Jose which also poses a threat to the island. “If not for Jose…I would imagine we would have probably been able to get the airport back up and running by Saturday, Sunday however being that Jose will be entering the area from midday Saturday going into Sunday evening, now we have again a situation where the island needs to assess damage Sunday, Monday, start clean up on Tuesday, Wednesday, so it’s going to be another week before civil aviation can come in,” he explained. He said it is hoped that the airport can make some sort of exception for commercial airlines doing flights for relief purposes. Many airlines including Caribbean Airlines and Seaborne among other have expressed that they are ready and willing to come in.